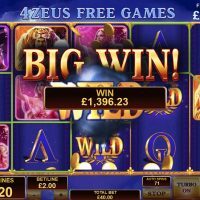 Zeus, Athena and Poseidon welcome you into the world of the Ancient Greeks with their arms wide open, but be mindful, Hades lurks in the underworld ready to take your money. The stories of the Greek Gods have been around in one shape or form for thousands of years, and it’s little wonder they’re so popular today when you remember what they all could do. 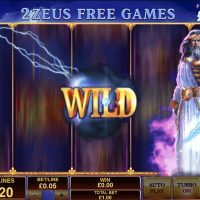 Zeus could fire thunderbolts, Athena had magical weapons, Poseidon controlled the water, while Hades had the ability to become invisible, and in one way or another, Age of the Gods have incorporated all these powers into this slot game. Though the game could be cleaner and crisper with better graphics, the gameplay is very smooth making this slot really fun to play, especially when you get onto the bonus round. Plus, the drawings on the symbols are really cool. 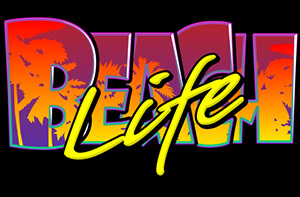 The best symbol you can get is the Wild which returns 10,000/1 if you hit five in a row. A lovely return. 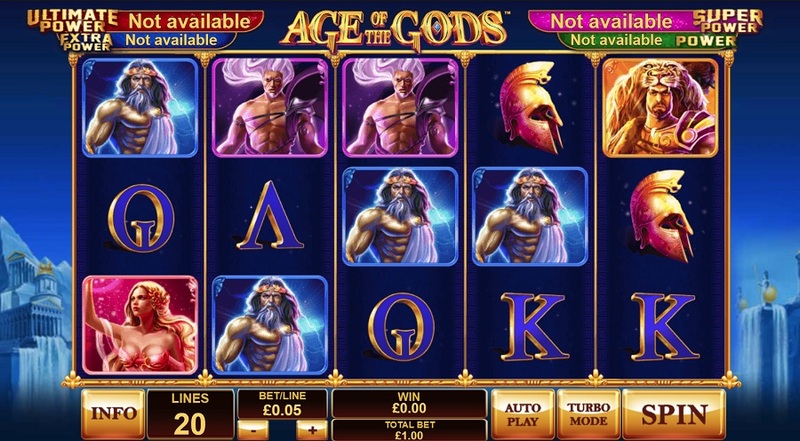 There is a decent bonus round in Age of the Gods where you can win a number of free spins by hitting three Age of God symbols of any three lines. 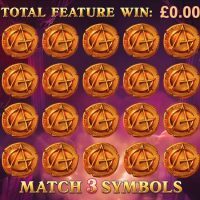 To trigger the free spins you will need to match 3 symbols once in the bonus round, but if you hit a Hades, you lose your free spins. 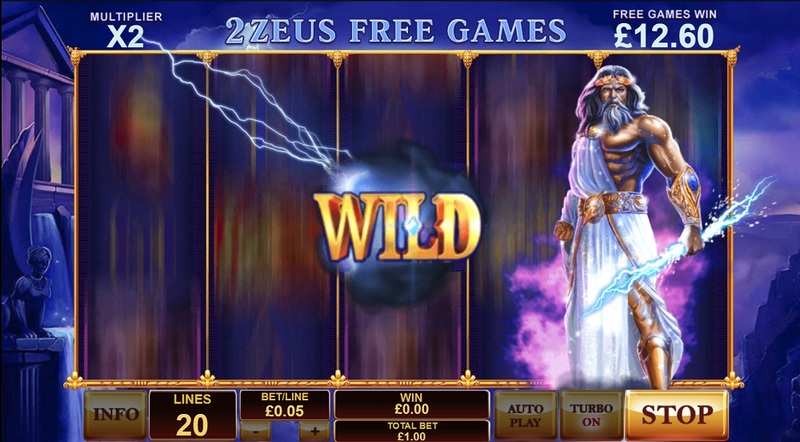 You can’t bet on different lines on this slot, but you can bet between 20p and £50. The house edge is an average 5.01%. There is a standard autoplay feature, but it doesn’t include any kind of autostop which you see elsewhere. There is, however, a turbo mode which spins the reel faster than usual. 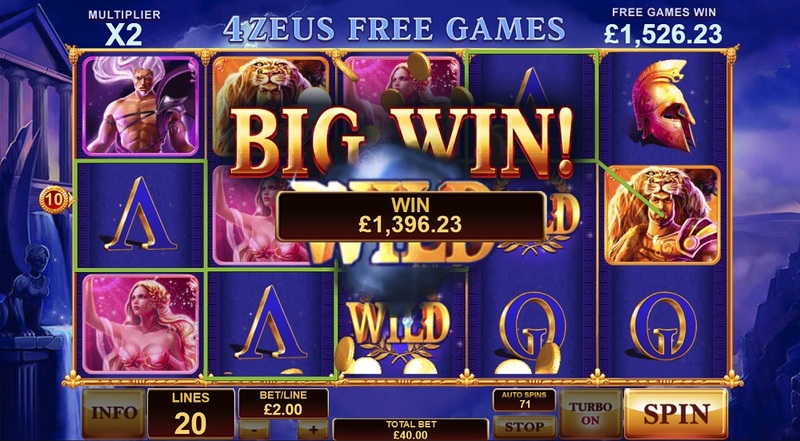 There are a few slot games out there which feature the Greek Gods, but this is definitely up there with the better ones. 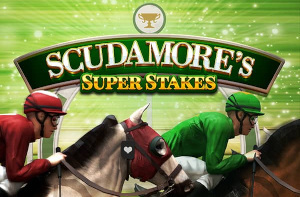 The house edge is very good, the potential winnings are huge, and the bonus round is very favourable to the player. 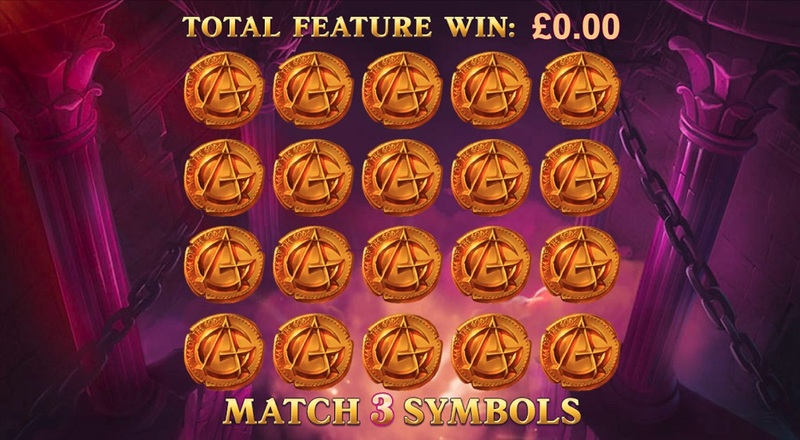 But it’s not just the alluring wins that makes this game so great; it’s the cool symbols, the smooth gameplay, and the interfering Gods that makes this slot an all-round success.